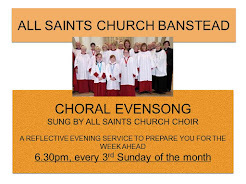 We are a friendly amateur choir of over 65 members in Banstead, Surrey. The choir formed in 1922 and we sing all sorts of choral music from the 16th century to the modern day and stage four concerts a year in and around Banstead accompanied by professional soloists and orchestras. The best way to see what we do is to come to one of our concerts. As well as performing locally, every three years we make a concert tour; in June we will be visiting Tuscany to perform in Lucca and Florence. Read about some of our past tours here. We always welcome new singers and you can join at any time between September and June, so why not try us out? We rehearse on Thursdays from 7.45-9.45 at Banstead Community Junior School, The Horseshoe, SM7 2BQ Do get in touch so we can be sure to welcome you! You don't need special vocal training but the ability to read music is desirable. After you've tried us for a few weeks, James (conductor) will listen to you singing (in a small group if you prefer) to check you're singing the part best suited to your voice and suggest some things you could work on. Full choir members normally pay an annual subscription (which works out at about £3 per rehearsal) but all new members get their first term free. All full-time students and under-30s get free membership for up to three years. 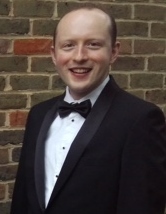 James Dixon was appointed Music Director of St Cecilia Chorus in September 2017. He moved to London in 2012 from his native Australia to study at the Royal Academy of Music. He is also currently musical director of St Francis of Assisi, Notting Hill and Brighton Consort. Ian le Grice has been accompanist to St Cecilia Chorus since 1983. 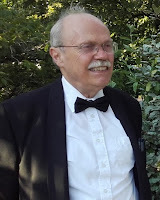 He was a junior exhibitioner at the Royal College of Music and a chorister at the Temple Church, London and went on to be assistant organist there for many years. He is also accompanist to Croydon Philharmonic Choir and Reigate St Mary's Choir School.